Since the beginning of Brookings' relationship with Qatar in 2002, its scholars have increasingly advocated that U.S. policymakers open a direct channel to Hamas – a position in keeping with Qatar's foreign policy. Sheik Hamad bin Jassim bin Jaber Al Thani, a member of the Qatari royal family who chairs the Brooking Doha Center (BDC)'s advisory council, made Qatar's position clear, according to a quote found in a secret December 2005 cable written by then-Ambassador Chase Untermeyer, on the eve of the January 2006 Palestinian elections. "We shouldn't exclude Hamas. It makes Hamas look like the real Palestinians. To isolate them is to repeat mistakes made in many places," the cable released by Wikileaks said. In recent years, Qatar's leadership has emerged as one of Hamas's biggest financial and political backers. Other State Department cables disclosed by Wikileaks quoted Brookings' patron, and former Qatari Emir Hamad bin Khalifa Al Thani's wife, describing her husband as "a big friend of Hamas." Qatar pledged $50 million to support Hamas in 2006, and the former emir pledged another $400 million to Hamas' cash-strapped government in Gaza during an October 2012 state visit. Its funding of Hamas continues despite the accession of Tamim bin Hamad Al Thani to the Qatari throne following his father's abdication last year. 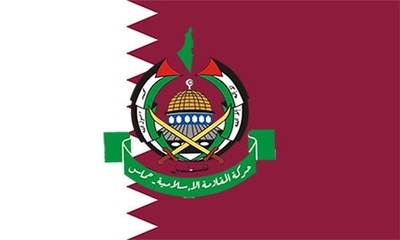 Current Prime Minister Abdullah bin Naser bin Khalifa Al Thani announced in June that Qatar would give Hamas $60 million to pay salaries of the terror group's public servants. Earlier this month, Qatar pledged $1 billion to help rebuild Gaza after Hamas provoked a war with Israel by firing rockets at civilian communities. No strings were attached to the pledge. Furthermore, the Qatari government also has frustrated American efforts to isolate Hamas. Hamas political chief Khaled Meshaal lived in Qatar from 1999 until 2001 following his expulsion from Jordan. Meshaal told Al-Hayat in 2003 that Al Thani assisted his 1999 entry into Qatar and that he had maintained a "personal relationship" with the then-Qatari foreign minister. Meshaal moved back to Qatar in February 2012 after the start of Syria's civil war. Israel's United Nations Ambassador Ron Prosor pointed his finger at Qatar in an August New York Times op-ed, blaming the Gulf state for every rocket and tunnel aimed at Israel, saying they were "made possible through a kind donation from the emir of Qatar." Prosor described Qatar as a "Club Med for terrorists" for harboring Meshaal, influential Muslim Brotherhood cleric Yusuf al-Qaradawi and Abdul Rahman Omeir al-Naimi, a Qatari history professor the U.S. Treasury Department designated last year as an al-Qaida financier. Qatari technology allegedly helped Hamas build sophisticated cyber systems in tunnels and above ground to attack Israel. Nearly 70 percent of cyber-attacks against Israel during this summer's Gaza war originated from Qatari-associated IP addresses. Sensors provided by the Gulf state in Hamas tunnels alerted the terrorists to approaching Israeli soldiers, and Qatari cloud-based software enabled Hamas to remotely fire its rockets, the Times of Israel reported. Brookings portrays Qatar's relations with Hamas in a positive light, setting the country up as a mediator between the terrorist group and Israel. Sultan Barakat, research director with the Qatar-based Brookings Doha Center (BDC), downplayed Egypt's traditional role as Mideast peacemaker in a July column on CNN.com. Barakat asserted that Egypt's post-Muslim Brotherhood government might not be in a good position to broker a ceasefire. Qatar, on the other hand, "is one of the few regional actors that have maintained strong ties to (and perhaps influence over) Hamas' leadership." That makes Qatar, the BDC's sponsoring country, a better partner for Western powers. Barakat suggested that "Western powers might find themselves having to look for help from a different partner: Qatar," Barakat wrote, giving a nod to the BDC's sponsoring country. "Under President Abdel Fattah el-Sisi, Egypt has proven more adept at securing the backing of politicians and diplomats in Tel Aviv, Washington and New York for a peace initiative than it has at reaching out to Palestinians." Despite Barakat's concerns, Egypt ultimately brokered the August agreement that ended the latest round of Hamas' fighting with Israel. Reports in the Arabic press indicate that Qatar had threatened to expel Meshaal from the country if he agreed to Egypt's cease-fire terms in July. Hamad bin Jassim bin Jabr's sentiments can also be found in the body of work of numerous Brookings scholars who argue that Hamas is willing to disarm or recognize Israel's right to exist. Numerous articles lend Brookings' credibility to the false notion that Hamas's 1988 charter calling for Palestinian Muslims to fight Israel "until liberation is achieved" no longer has relevance or to the notion that Hamas wants peaceful coexistence with Israel. Consequently, they argue that the U.S. should talk directly with Hamas. "While the Palestinian Islamist group's status and circumstances differ from those of other Islamist movements around the region, its continued shunning by Washington may be just as outdated and counterproductive," wrote Saban Center for Middle East Policy Visiting Fellow Khaled Elgindy, in an April 2012 article suggesting the U.S. should talk directly with a designated terrorist group. "Hamas remains a major force in Palestinian politics, one that cannot be wished away or boycotted out of existence." Elgindy latched onto an "omission of language calling for Israel's destruction" from the 2006 Hamas electoral platform to argue that the 1988 charter had lost its meaning. He argued that Hamas leaders accept the principle of a two-state solution based upon Israel's pre-1967 borders. "Hamas officials have hinted at a willingness to move away from armed struggle in favor of nonviolent popular resistance," he wrote. The "risks of ignoring or isolating" Hamas exceeded worries about legitimizing the terrorist group. Apparently Elgindy failed to notice Meshaal's January 2006 statement to Al-Jazeera undercutting his thesis. "As for recognizing [Israel] and amending our charter – Hamas is not the kind of movement that succumbs to pressure," Meshaal said. "If people raise the issue of targeting civilians – we have said and we continue to say that when our enemy stops targeting civilians, we will make the same commitment." Meshaal repeatedly reiterated the terrorist group's refusal to recognize Israel's right to exist in subsequent years. "First of all, Palestine – from the (Jordan) River to the (Mediterranean) Sea, from its north to its south – is our right and our homeland. There will be no relinquishing or forsaking even an inch or small part of it," Meshaal said in the speech carried on Al-Aqsa TV. "Second, Palestine was, continues to be, and will remain Arab and Islamic. Meshaal further discredited Elgindy's thesis regarding Hamas' willingness to disarm in August when he called the terror group's armed wing's weapons "sacred." "The issue is not up for negotiations. No one can disarm Hamas and its resistance," Meshaal said. An idealistic search for "moderates" in Hamas peppers the research of many of Elgindy's colleagues who similarly look in vain for a Hamas path on the road to peace. They contend that engagement will encourage Hamas to abandon terrorism and become a non-violent political party. Hamas is not a "monolithic entity," BDC Director Salman Shaikh wrote in a 2012 oped published by CNN. Not all Hamas members were "focused on resistance." "The international community – and Israel – should work with the newly emerged regional troika of Egypt-Turkey-Qatar to engage with Hamas and strengthen Hamas' pragmatic wing. Given the strength of its ties, though, Iran could still prove to be a spoiling influence," Shaikh wrote. Shaikh may have exposed his feelings about Hizballah, Palestinian Islamic Jihad (PIJ) and Hamas during a June 2013 forum held at the Brookings Doha Center in Qatar. He described Hizballah, PIJ and other Palestinian terrorist groups as the "axis of resistance" against Israel within the context of Iran's policies in the Middle East. A March article written by Brookings scholar Neven Bondokji, a joint visiting fellow with Qatar University, similarly sought to portray Hamas as being on the road to moderation. Bondokji's article, "The Nationalist versus the Religious: Implications for Peace with Hamas," suggests that Hamas should no longer be viewed as a "violent, Islamist and terrorist organization." The international community ignores the supposed transformation within the terrorist group over the past 15 years. "High-ranking members of Hamas have asserted that Hamas is a constantly changing and self-transforming movement," Bondokji wrote. "One major shift in Hamas political ideology that emerged from my research is the shift from religious ideology to nationalism. "In this, Hamas seems to be part of a broader trend of mainstream Islamic parties that sooner or later have to come to terms with the fact that an all-inclusive [pan-Islamic]-based ideology is not practical in today's political scene." She also claims Hamas' public-relations shift from using the term "jihad" to terms such as "hudna" and "resistance" cannot be ignored. A hudna is a temporary truce rather than a permanent peace under Islamic law. "Hamas' earlier communiqués specifically attacked Jews and portrayed the conflict between Judaism and Islam," Bondokji wrote. "Today, Hamas draws clear lines between Jews and Judaism on the one hand, and Israeli state policies and Zionism as a nationalist ideology on the other." Those word choices illustrate a shift in ideology from that of Muslim Brotherhood founder Hasan al-Banna, who "argued forcefully that Islamic solidarity precedes the national struggle," Bondokji asserted. This, she wrote, fosters the possibility of a positive outcome between Israel and Hamas. Brookings' Tamara Cofman Wittes made similar arguments in 2008, against calling Hamas and Hizballah "primarily Islamist groups," instead describing them as "nationalist militants." Doing so obscures the "search for solutions to the problems these groups pose for democratic politics." The Muslim Brotherhood liked it so much that it republished the article on its English-language website. Contrary to Bondokji's and Wittes' assertions that Hamas has evolved from a religious cause into a strictly nationalist movement like Fatah, Hamas leaders continue to say that Israel's destruction would facilitate restoration of the Caliphate. Its long-term aims reach beyond leveling Israel and replacing it with a Palestinian Islamic state. "We anticipate further victories, in which we shall liberate our land, Allah willing. We shall liberate our Al-Aqsa Mosque, and our cities and villages, as a prelude to the establishment of the future Islamic Caliphate," Hamas Interior Minister Fathi Hammad said in a November 2013 address in Gaza. "Therefore, brothers and sisters, we are at the threshold of a global Islamic civilization era. The fuel and spearhead of this era will be Gaza, and its mujahideen and leaders will be from Gaza, Allah willing." Hamas legislator and cleric Yunis al-Astal similarly commented on the Caliphate in a 2011 interview with Al-Aqsa TV. Former Hamas Prime Minister Ismail Haniyeh proclaimed in July 2012 that the Arab Spring would "introduce the era of the Caliphate." Brookings also pushes the argument that engagement and reconciliation between Hamas and its rival Fatah faction will lead to peace. "Certainly, the conquest of Gaza may be a prominent signal that the hard-liners have triumphed; however, the international community has not given the moderates within Hamas any incentives to cooperate," Brookings scholar Stacie L. Pettyjohn wrote in a 2007 column in Beirut's Daily Star following Hamas' victory over Fatah in that year's conflict between the two Palestinian factions. "… [T]errorist organizations only gradually forgo violence and commit to a political process. "Therefore, it is important to discover whether there are moderates within Hamas, and if this happens to be the case, to strengthen them," Pettyjohn continued. "To do so, the international community needs to end its policy of blanket isolationism, which only weakens the pragmatists, and adopt a policy of conditional engagement in order to promote cooperation." Pettyjohn's column claimed that a power-sharing arrangement between Hamas and Fatah could "resurrect the peace process." Reality proved to be quite different. The two factions reached such an agreement in April 2014. Instead of taking steps toward peace, Hamas reaffirmed its commitment to Israel's destruction and provoked more than a month of bloodshed with the Jewish state. Recognizing Israel was a "red line" the terrorist group would never cross, Hamas deputy political chief Mousa abu Marzook noted in May. Its fighters will not lay down their arms. Contrary to Brookings' assertions of a new moderation in Hamas, talk of jihad flowed from the lips of Hamas propagandists during the summer violence. The Hamas Interior Ministry wrote in a Facebook posting in July that everyone killed in the fighting should be called a civilian from Gaza or Palestine before discussing "his status in jihad or his military rank." Other recent invocations of the term "jihad" include a cartoon that appeared on Hamas TV praising the terror group's military wing during an October 2013 broadcast. "Today, the Zionist occupation knows who the Izz Al-Din Al-Qassam Brigades are, and it knows that thousands of young fighters are prepared to be martyred for the sake of Allah, until this land is liberated," the Hamas TV spot said. "The battle of the minds shows that Al-Qassam is a powerful tenacious rival, whose men are heroes, educated in the mosques and possessing the spirit of Jihad." Brookings' wishful thinking concerning Hamas with Ambassador Martin Indyk, the former Obama peace negotiator and current vice president and director of the Foreign Policy Program, who engineered the outreach with Hamad Jassim bin Jabr Al Thani. Indyk and Al Thani devised the partnership following the September 11, 2001 attacks, first hosting a series of conferences in Doha starting in 2002 and later with the establishment of the Brookings Doha Center (BDC) in 2008. During his tenure as the Obama administration's chief peace negotiator between Israel and the Palestinians ending in July, Indyk served as an anonymous source for multiple stories casting Israel as the culprit for the talks' failure. Indyk slammed Israel recently, describing the Jewish state's attitude toward the United States as "disrespect." He noted that U.S. taxpayers underwrite Israel's defense budget to the tune of $3 billion. "On the Israeli side I see something which I'm really, really disturbed by, which is the total disrespect on the part of some on the right in Israel for the relationship with the United States," Indyk reportedly told a Washington, D.C. congregation according a Washington Free Beacon report. "And that manifests itself with right wing politicians standing up excoriating our leaders, who are trying to do their best for Israel." Hamas refuses to relinquish its weapons and stop smuggling them into Gaza, but some Brookings scholars advocate a unilateral end to Israel's blockade on the territory. "The hope for Israel is that a long-term cease-fire would, over time, produce its own momentum. Peace would push leaders from attacking Israel. Hamas' military capabilities might grow, but it would be reluctant to risk any economic improvements in Gaza in another round of fighting," Brookings scholar Daniel Byman wrote in a fall 2010 Foreign Affairs article. "A cease-fire that allowed goods to flow into Gaza would make it harder for Hamas to blame all its constituents' problems on Israel. "Right now, Hamas gains from the perception that Israel and the international community seek to crush the Palestinians," Byman continued. "Opening the crossings into Gaza would dispel this impression and place Hamas in a difficult spot politically: it would have to give up either on resistance or governance." Byman also suggested that refusing to deal with Hamas would "only make the situation worse" and weaken Palestinian moderates. In a 2012 paper, Byman suggested that Hamas could be counted on to fight al-Qaida and its local sympathizers in Gaza. "Hamas possesses tremendous credibility in the Gaza Strip—gained by its struggle against Israel—that amplifies its rebuff of al-Qa'ida. Specifically, Hamas's Muslim Brotherhood philosophy, its social and political wings, and its willingness to compromise on issues like elections and temporary ceasefires with Israel are all rejections of al-Qa'ida and its teachings," Byman wrote. Considering its refusal to disarm and its continuing reaffirmation of its desire to destroy Israel, such a recommendation exhibits a naïve understanding of Hamas. Repeated statements by its leaders indicate that Hamas remains committed to its religiously motivated ideology, and that secular considerations will accomplish little in convincing them to renounce violence. Brookings scholars reject Israel's right to defend itself and downplay Hamas rocket attacks in other works. "If Israel has the right to defend itself by launching air strikes that have destroyed Palestinian homes and schools, then surely Palestinians have the right to protect themselves from the brutal and escalating Israeli violence," Ibrahim Sharqieh, deputy director of the BDC, wrote in a July 11, 2014 column on CNN.com. "To forestall another war, and to prevent further brutality against civilians, Washington needs to take immediate measures to avoid the hypocrisy of legitimizing Israeli violence against Palestinian civilians under the guise of 'self-defense.'" Israel engages in "collective punishment" by maintaining the blockade, he said, agreeing with Secretary of State John Kerry that the Jewish state "risks becoming an 'apartheid state.'" Elgindy similarly contends that Israel's security depends upon ending its occupation of the West Bank and the lifting of its blockade of Gaza even though Hamas leaders refuse to consider relinquishing their weapons. Byman slammed Israel's effort to defend itself from rocket attacks against its civilian population, claiming the Jewish state engaged in "disproportionate military operations" in a July 24 Foreign Policy article titled, "An Eye for a Tooth." "Such disproportional military operations strike at the heart of 'just-war theory' and the way of warfare embraced by the militaries of the United States and other Western countries," Byman wrote. These analyses gloss over Hamas' intentional and illegal use of densely populated areas of the Gaza Strip to launch rockets against Israel. It also conveniently ignores Hamas' role in provoking Israel. A Hamas training manual captured by Israel Defense Forces instructed the terror group's members to build and store bombs in their homes to evade detection by Israeli intelligence. Evidence shows that Hamas intentionally manipulated death-toll figures to inflate the numbers reported in the press. Hamas told Palestinians living in Gaza to pass disinformation to the foreign press. An independent BBC tally of the casualties reveals a high proportion of combat-age men. Brookings scholars further Qatar's foreign policy aims concerning Hamas and other Islamist groups by continuously repeating their talking points. In the process, they provide Hamas with undeserved legitimacy and present Western decision-makers with a distorted view of the world. It was Kerry himself, when he was chairman of the Senate Foreign Relations Committee, who dared to raise his voice against Qatar's continuing support for Hamas when he said at a 2009 Brookings forum: "Qatar, for example, cannot continue to be an American ally on Monday that sends money to Hamas on Tuesday." He was swimming against the tide, denouncing the road that Qatar and Brookings clearly opted to travel years ago. But when he became Secretary of State, Kerry's views of Qatar suddenly shifted as he anointed Qatar as the interlocutor for the ceasefire talks between Hamas and Israel. That shift proved to be the ultimate prize for Qatar in its quest for legitimacy in its multi-million dollar campaign in buying off Brookings. It had now bought off the Obama administration.